The 2nd of 8 Part Series form The Collision Center for Car Care in the Las Vegas desert. Hot summertime temperatures in Las Vegas can wreak havoc on your car-battery. Heat shortens battery life faster than cold temperatures. The most common reasons for car battery failure are usually due to excessive heat or over-charging, leading to car-starting failure. The extreme high temperatures in Las Vegas take a toll on your vehicle, making automobile maintenance a high priority if you want it to last. The Collision Center will take a look at the most important things to check up on to keep you in the driver’s seat during the hot summer. 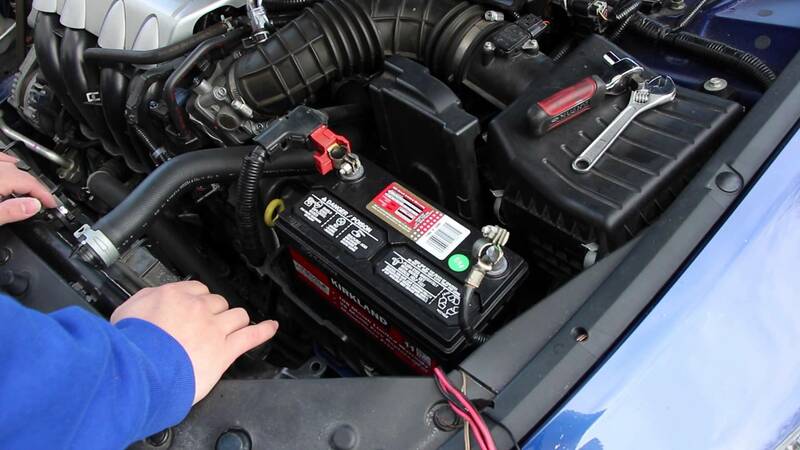 This weeks blog covers car battery maintenance. Hot summertime temperatures in Las Vegas can wreak havoc on your car-battery. Heat shortens battery life faster than cold temperatures. The most common reasons for battery failure are usually due to excessive heat or over-charging, leading to car-starting failure. Heat causes the fluid inside the battery to evaporate and causes damage from the inside. According to AAA of Las Vegas, the company “generally responds to an average of 65,000 battery calls each summer.” To put this in context, an AAA representative said the company responded to a total of nearly 200,000 Las Vegas roadside-assistance calls last summer. Before checking the battery, take a look to see if it’s a service-free battery. What that means is there is no access to the internal battery fluid, so don’t try to pry off the caps. If you have a serviceable battery, there are usually two caps on the top of it. Wear eye protection and gloves because the fluid is very acidic. You can pry off the two caps with a flat head screwdriver. Once it’s open, shine a light inside and look for water. If you can’t see water, the battery is running dry. You can put tap water inside the battery, filling it to the top of the hole. Once filled, replace the caps. While you’re looking in the battery, it’s a good time to check for corrosion on the battery posts. The battery posts is where the car is physically connected to the battery. Household baking soda works at dissolving the corrosive material, but you can also check with your local auto shop for products that help get rid of and deter corrosion. Mention this blog and come into The Collision Center for a very special offer on battery maintenance or replacement. If all of this seems like gibberish to you, seek the assistance of our professionals at The Collision Center. Mention this blog and receive a very special offer on car battery maintenance or replacement.